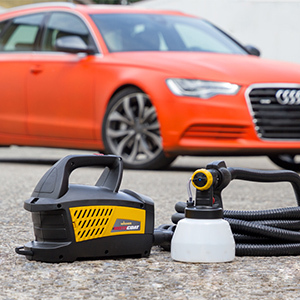 Designed for DIY auto enthusiasts and installers, Wagner MotoCoat sprayers will safely apply low flash-point coatings like protective materials and customizing coatings. It is a self-contained sprayer with a spark-contained motor, long reaching hose and two nozzle attachments. 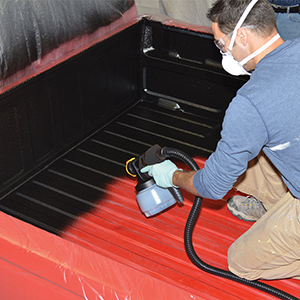 The MotoCoat Complete sprayer applies everything from heavy truck bed coatings and undercoating to light materials such as rubberized peelable coatings and auto finishing paints. MotoCoat Protect is rated 5.0 out of 5 by 1. Rated 5 out of 5 by Yaks from MotoCoat unit provides great flexibility! 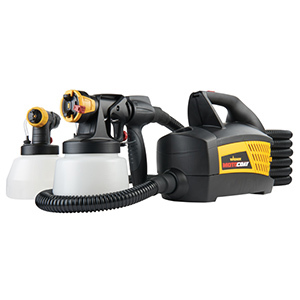 This MotoCoat unit provides a great deal of flexibility for me to perform a wide variety of painting projects. The 39 foot standard hose lets me do automotive projects with the turbine well away from the spray zone, and then switch to a 2-story latex wall painting project without having to keep relocating the turbine. Additionally the detail spray gun comes with a much larger paint container (than other units) so I can do narrow, detail work (like 260 individual 1-½" square pickets, 7 feet long on a Garden Gazebo project I just finished) without constantly refilling the pot. So far turbine has run great - up to 3-4 hours without shutting it off. Only advice is to keep a small rag handy and regularly wipe the spray nozzle to avoid build-up. 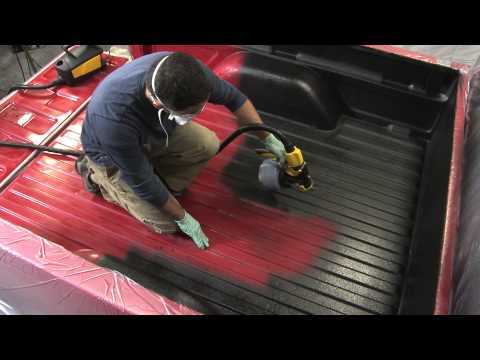 If I got the motorist to spray the bottom of my car, could I then turn around and use the same sprayers for spraying stain or paint on my deck. Or paint on my house siding? Yes you can, it works with all oil and water based paints and finishes too! The MotoCoat is an HVLP unit that operates at 3.5psi/40cfm. Please confirm your numbers as they relate to an air compressor, not HVLP. The difference is that the MotoCoat is built for spark free operation and is therefore safer with volatile fluids. The Flexio 690 is designed for around the house painting projects. For an in depth discussion you are welcome to call technical support a call at 1-800-328-8251 and we will able to assist you. Can this spray Lacquer, if so what is the flash point level for safe use? 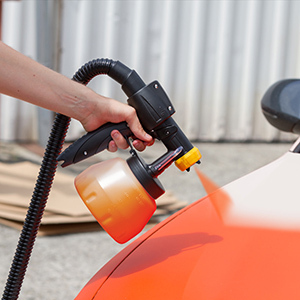 Designed for DIY auto enthusiasts and installers, Wagner MotoCoat sprayers will safely apply low flash-point coatings like protective materials and customizing coatings that clean up with water or mineral spirits and lacquer thinner. After cleaning with any thinner, rinse with water. For more information call us at 800-328-8251. What is the difference between a 90001 Motocoat and a 529031 Motocoat? There is no difference, the 90001 is not a good part number. For help contact us at 800-328-8251. The iSpray front end nozzle is 2.5mm and the Detail finish front end is 1.8mm. All Wagner sprayers in the USA operate on normal household 110V electricity. Good luck with your projects. 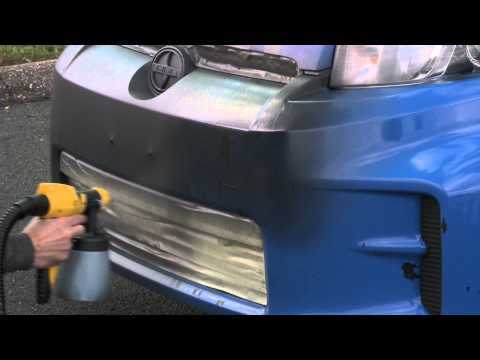 Will motocoat handle spraying Lizard Skin automotive coatings? Yes it will. We have a list, call us at 800-328-8251 or look on our website at the MotoCoat. Are there more specs such as 4.5 CFM's at 70 psineedle sizes, Motor watts? Can you use other HVLP guns? Will this work to apply Lizardskin Insulation and to spray Duplicolor Automotive Lacquer Finish System paint? This sprayer is not rated the way a fine finish sprayer would be with PSI and CFM's and is not interchangeable with other HVLP spray guns. This sprayer should be good for spraying the Lizardskin. As for the finish paint this isn&rsquo;t an automotive quality finish sprayer so it will not produce a showroom finish such as what you would generally want on a car. If you would like to give us a call at 1-800-328-8251 we will assist you with picking out a sprayer. Do you plan to release a smaller nozzle for base coat/clear coat paint? Something around 1.4mm would be perfect. At this time, we do not have any plans for changing the nozzles on the MotoCoat. We do however, make sprayers for fine finishing. Take a look at these -http://www.rockler.com/rockler-finishing-sprayer http://www.rockler.com/earlex-spray-station-5500-with-15mm-fluid-tip-needle http://www.rockler.com/earlex-hv6003pus-hvlp-sprayport All three of these units have needles ranging from 0.8mm up to 2.5mm. For more info call us at 800-328-8251.